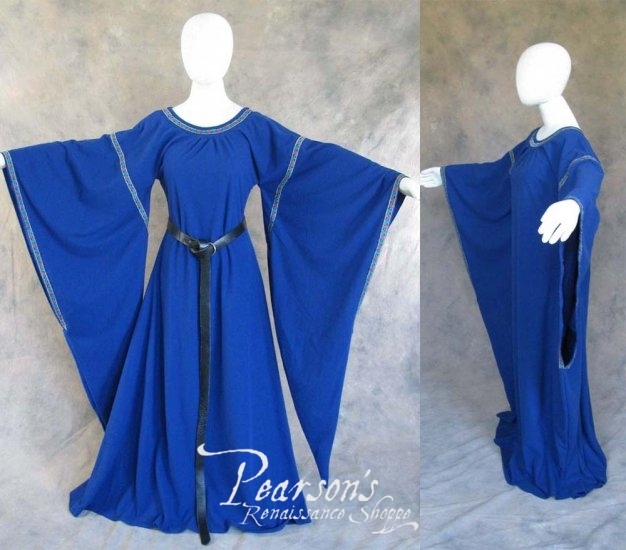 This long, wing-sleeved medieval gown is perfect for dressing up or dressing down and a great basic to keep for many different costume possibilities. 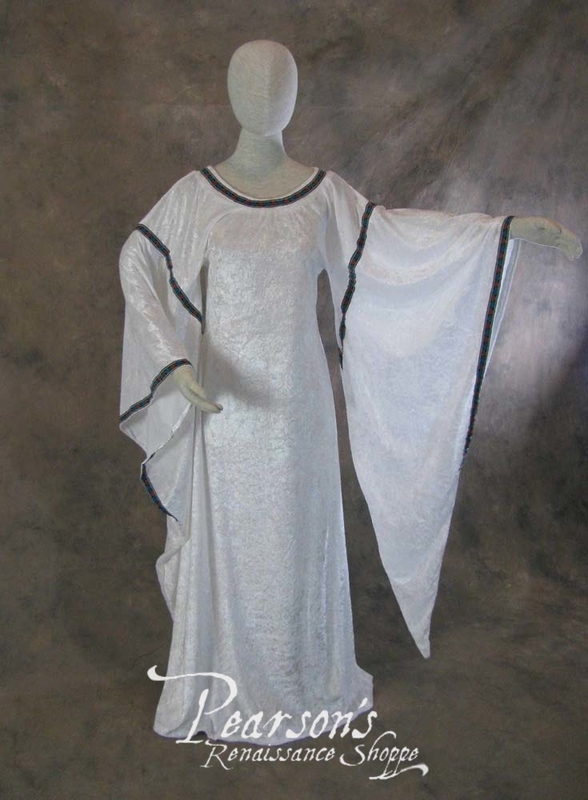 It has a basic kirtle design, flaring out from the hips down to the floor in the skirt and with very long, flaring bell-sleeves (like wings). 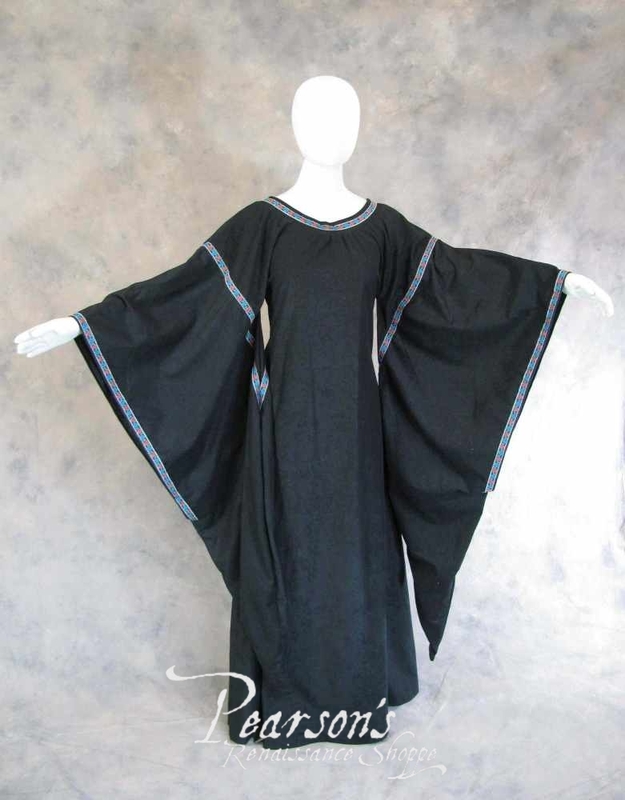 Made from a soft polysuede, this versatile piece would go well as a day dress at the Ren faire or as a court gown for a noble lady. 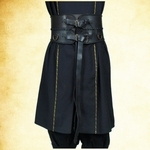 Wear it with or without a belt to change up the time period or theme of the piece. 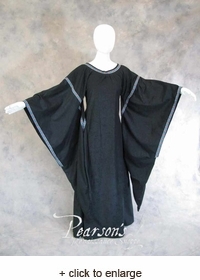 It also has a floral-design trim around the neck, at the point around the bicep to elbow where the sleeves flare out, and at the edge of the wing at the sleeve opening. 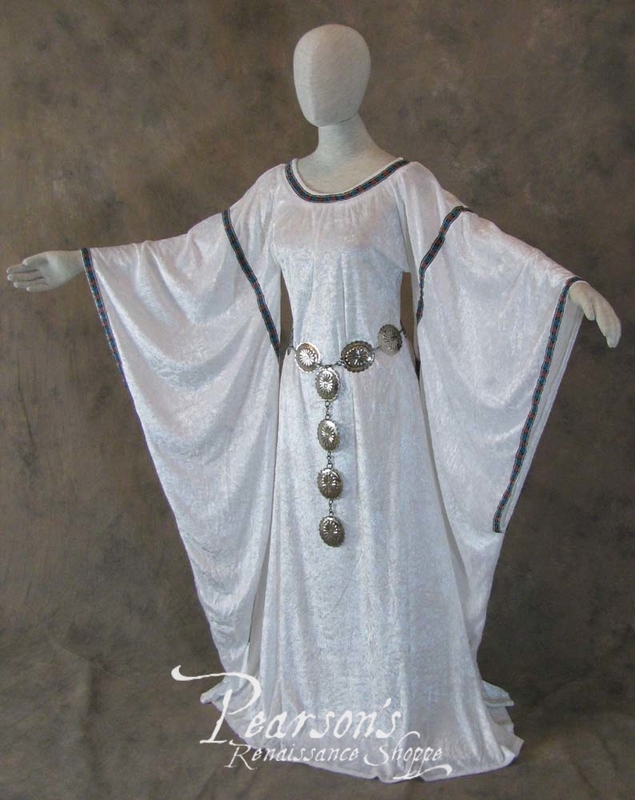 **The belt shown in some of the photos is not included with the gown and is for demonstration purposes only.